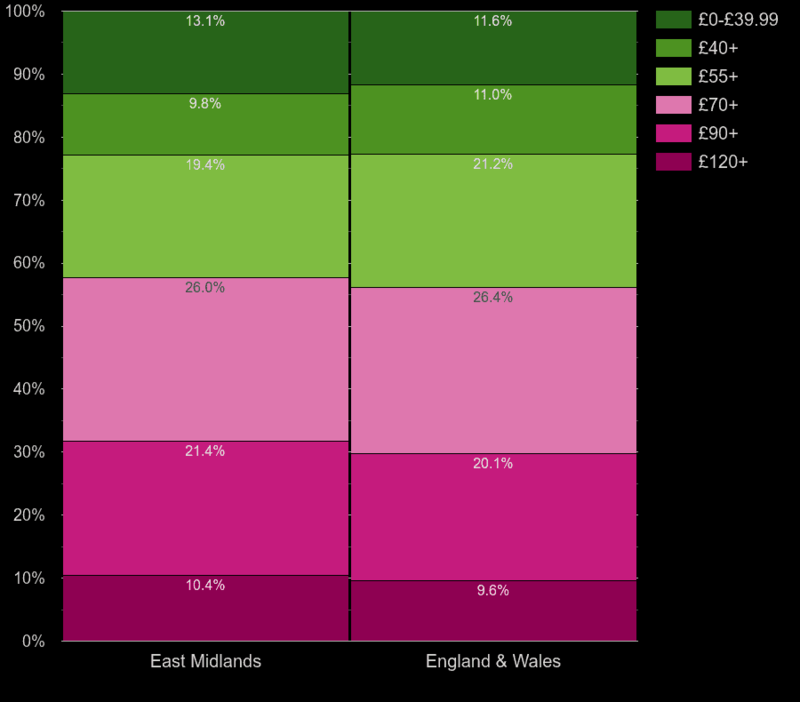 The following charts compare house energy costs in East Midlands region to the house energy costs in whole England and Wales. 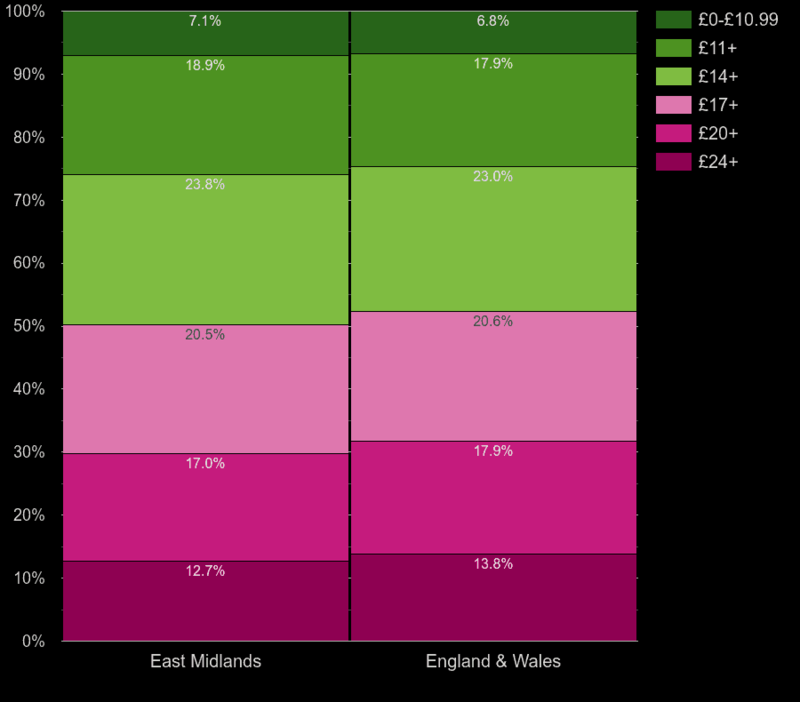 Outer ring charts show share in East Midlands, inner charts show share for England and Wales. 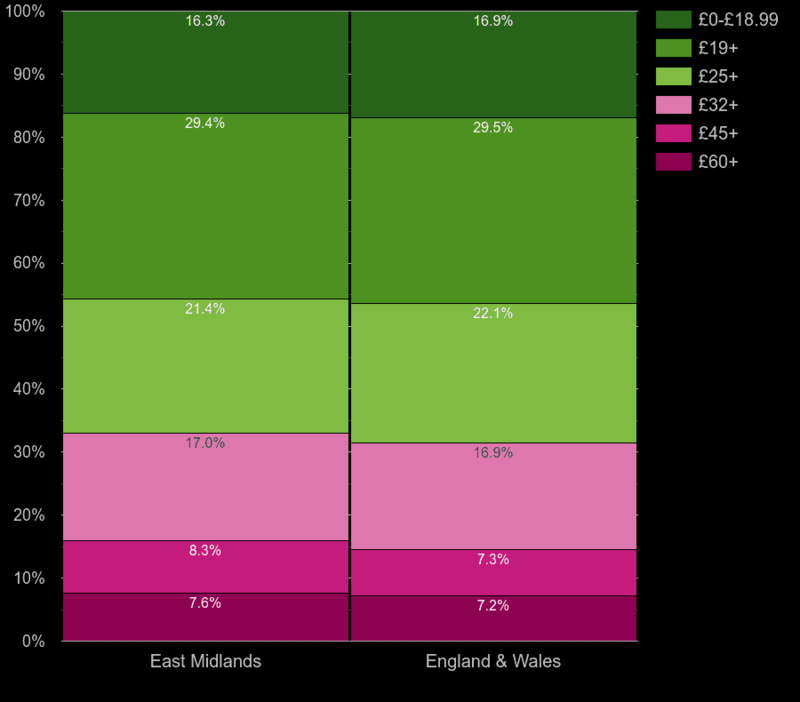 Data is taken from energy certificates for domestic buildings. The certificates were issued between 2008-2016. 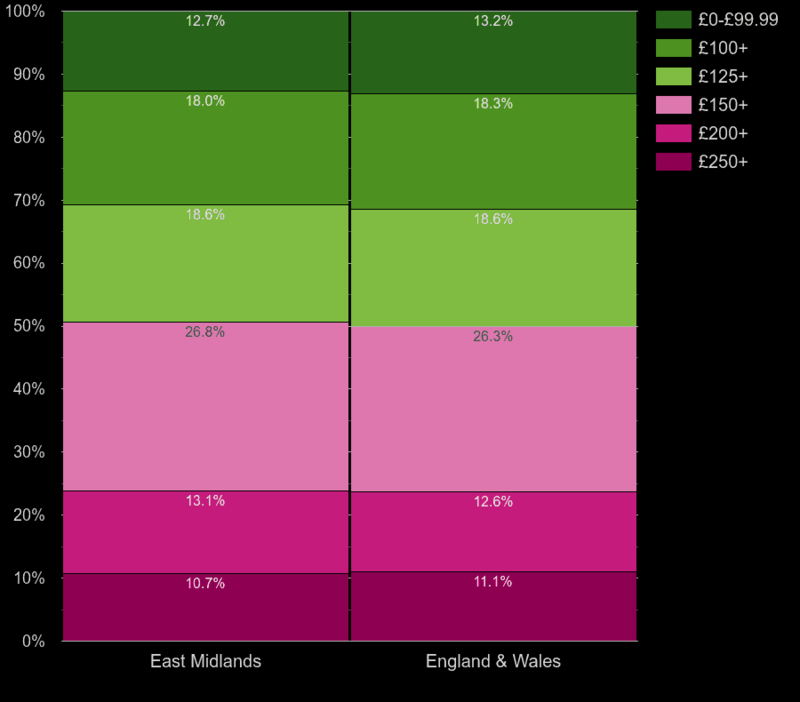 Data is available for more than 50% of all domestic properties. 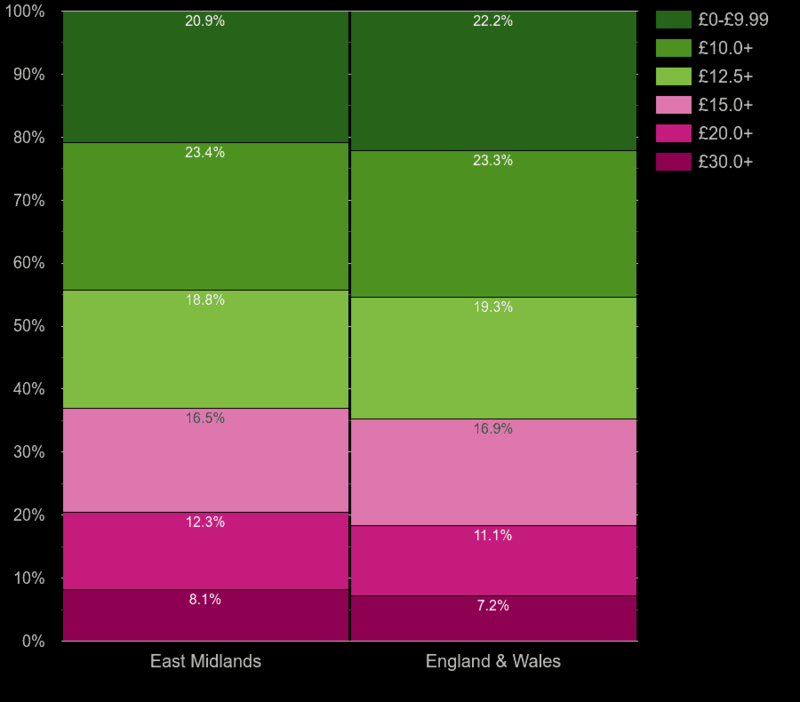 In case of multiple certificate for one property, only the latest available certificate data was used in the charts.